Creator of the Drexel Pilates training program, Jennifer Morley, describes how Pilates practice became a “magic spell” in her dance training, correcting inefficiency and imbalance for a more highly-functioning body. Fitness workouts, Insanity, P90x, and PiYo are popular, but how do other dancers feel about BeachBody as an addition to their cross-training routine? Jessica shares a dancer’s perspective for the benefit of the curious. If you love ballet barre work or value what barre does for you, this DVD series may be for you. Lorry discusses the few negatives and many positives of The Boris Kniaseff Floor Barre Method as presented by Stéphane Dalle in his beginner level DVD. 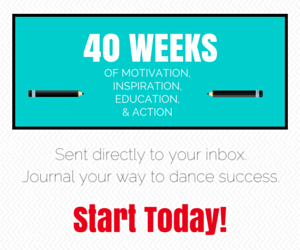 The Fit Dancer: Get off the couch for back-to-dance bootcamp! The 411 on The Bar Method as founder, Burr Leonard chats with me about this unique full-body fitness program, its relationship to dance and with dancers, and of course, Black Swan (which they celebrated during a promotional partnership in March). Also, our own Lauren Warnecke tries a class in Chicago and lets you know exactly what she thinks.